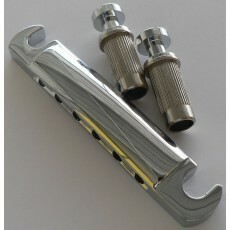 Gibson LP Tune-o-matic tailpiece assembly. Post spacing approx. 82mm. 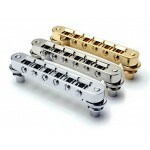 Fits many guitar based on a standard Gibson LP tune-o-matic bridge utilising large posts.